An operator completing long laterals in the Bakken continued to increase its stage count by deploying a 65-stage StackFRAC® HD-X system. 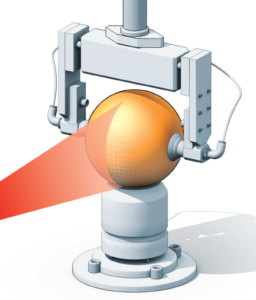 The ball-activated completion was carried out as planned and each stage was stimulated without incident for a total pumping time of less than 55 hours. 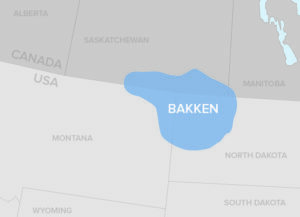 An operator working in the Bakken was focused on economically increasing stage counts to achieve the best possible reservoir coverage and production, and required a system that would effectively treat the 9,950 ft lateral. One concern with high stage count systems in long laterals is the potential for erosion to impact operations as higher volumes of fluid and proppant pass through the middle and heel stages before they are stimulated. Packers Plus designed a high density stimulation program using the StackFRAC HD-X system. This system incorporates advancements in ball seat and port activation technology, which enables smaller ball seat increments than the 1/16-in. industry standard. As part of a fully integrated QA/QC process, every ball is inspected with lasers in over 10 positions to check for surface defects, ovality, dimension, etc. The StackFRAC HD-X system functioned as expected, with all stages completed as designed. The 65-stage system was stimulated using an average of 70,000 lbs of proppant per stage (4.5 million lbs total), at rates between 19 bpm and 30 bpm. All stages were stimulated in 2.5 days of 24 hour operations. The total pumping time was under 55 hours. The success of the stimulation of this extended lateral was a result of a consistent drive for operational excellence at Packers Plus, as well as ongoing innovation and a rigorous QA/QC process.